KWA M1911 A1 6mm Green Gas BB Pistol | Replicaairguns.ca | Easter Weekend Sale! 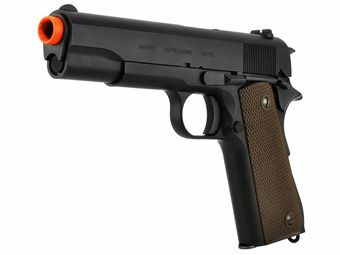 Trigger Pull: The trigger pull on the KWA M1911A1 GBB Airsoft Pistol is right on par with what you would get from a quality 1911 single action only trigger, it has very little take up with a smooth crisp and very light light release. The grip safety is functional like a real 1911 also so it will need to be engaged with your hand in order to fire. Accuracy: I setup a brand new paper target 30 feet down range and proceeded to place 10 shots into it. I did not adjust the hop-up since I wanted to get an out-of-the-box shooting experience. I was able to get a fairly tight 10-shot grouping around 3 inches wide. I did shoot just a bit to the left and slightly low to the the bullseye but not too far off. There are no sight adjustment on this airsoft pistol so windage adjustments are going to have to be made using aim point. You could also adjust the hop-up to accommodate for elevation and bring the accuracy up as needed. 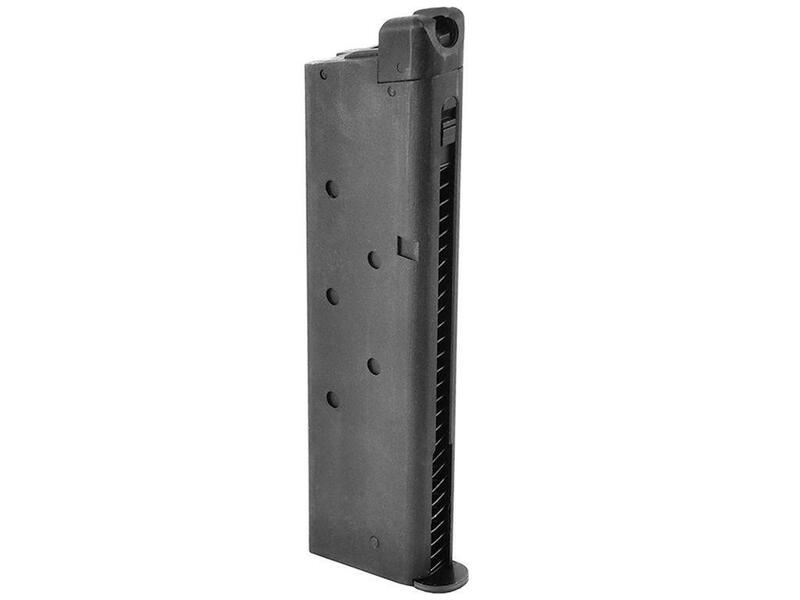 Build Quality: KWA in my opinion makes some of the highest quality airsoft guns in the industry within their given price range, which I would say is about mid point. 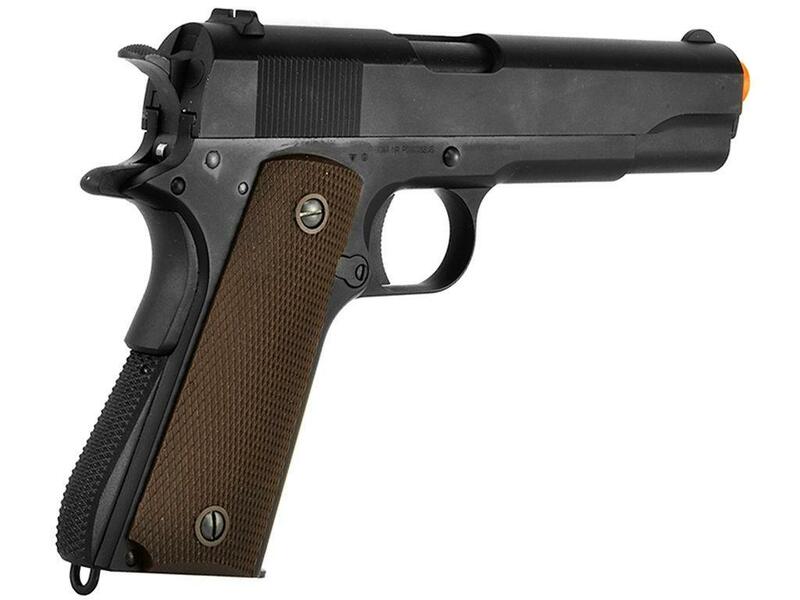 The M1911 A1is an all metal pistol with nice finishing and an extremely tight fit. The slide has virtually no wiggle and needed only a little bit of work in to get it operating properly. Perhaps the is why a small bottle of lubricant comes with it. After a few shots everything worked nice and smoothly. Realism: The M1911 A1 is a replica of a standard 1911 A1 Military 45 Auto and its a great looking and functioning replica. You will not find actual Colt or other manufacturer licensing other than the wording “M1911A1 Autoloading Pistol” on the left side of the slide. The version I received did have a slightly elongated barrel to allow for the addition of a red painted tip. You can easily cut down the barrel and or paint over the red portion of the tip. We also offer replacement barrels in our online Canada and US Replica Airguns Store. 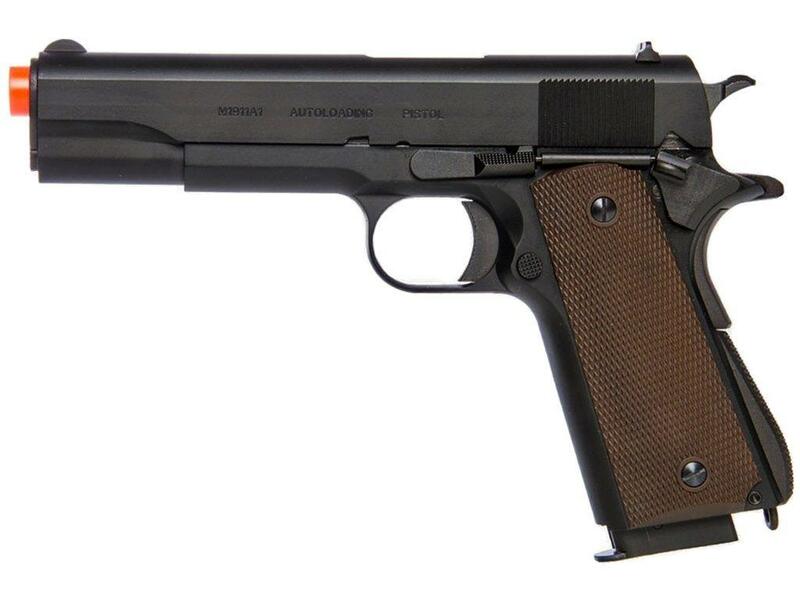 Comments: Out of all the 1911s on the market I have to say I like the good old fashioned simple design of the classic M1911 A1. No bells and whistles on it and I like it that way. 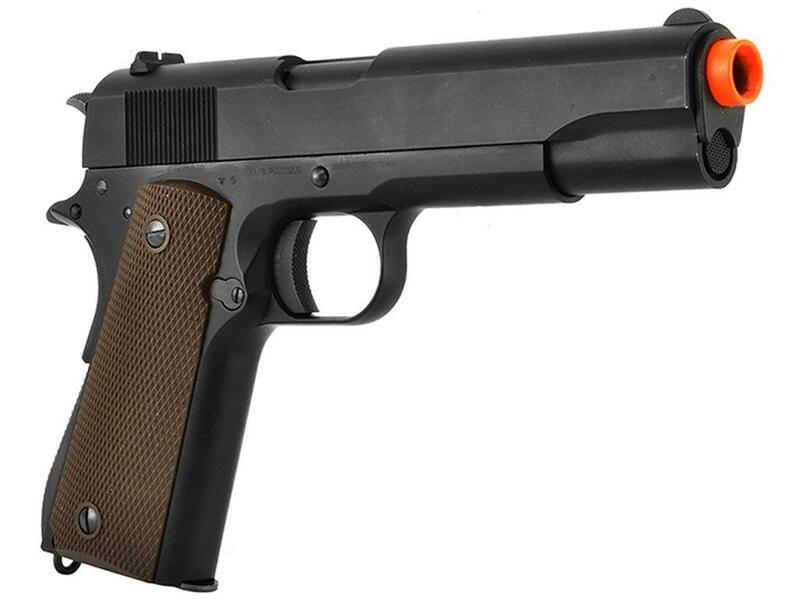 The KWA M1911 A1 has also got to be one of the best made 1911s in terms of fit and finish. The slide and frame tolerances are super tight with virtually no play or wiggle at all and the trigger is so nice and light.